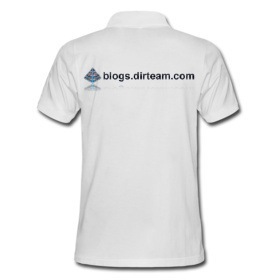 We’ll stand out from the crowd, since we’ll be wearing specially designed ActiveDir.org/Dirteam.com Weblogs shirts! These all white polo shirts have a small Active Directory logo on the front in the place where the right pocket would be located. (if the shirts had any pockets) This indicates our passion for Active Directory and Active Directory related technologies. 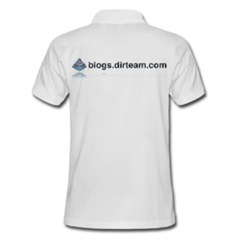 The back features the ActiveDir.org/Dirteam.com Weblogs logo and url across the shoulders, as depicted to the right. I’m sorry to have to inform you Carlos couldn’t make it either.